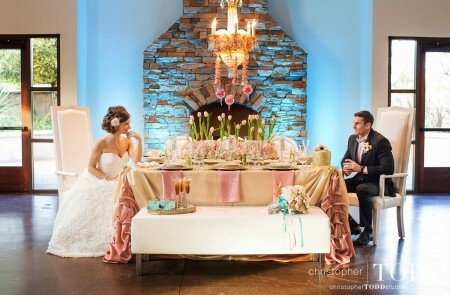 Home » Products » Blog » FormDecor Weddings » A Spring Wedding fit for Paris! 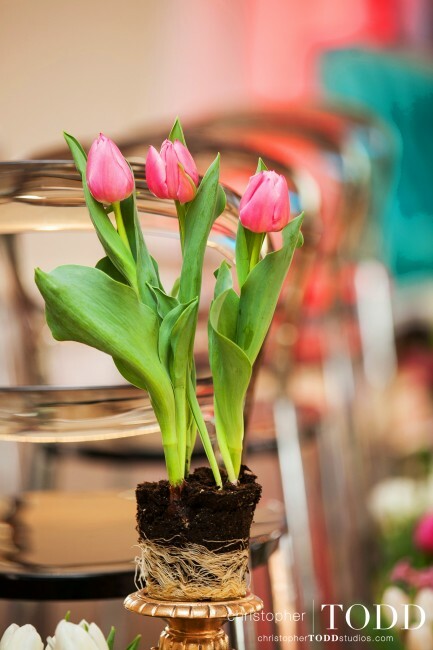 Are you a bride or planner looking for a little bit of Parisian inspiration for your wedding? 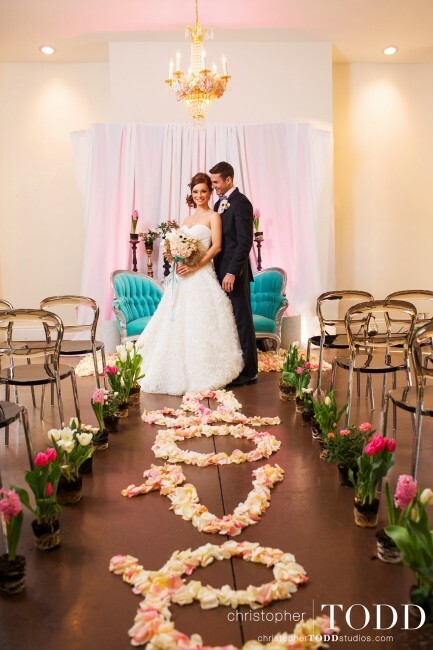 In this gorgeous wedding photo shoot, Expressionary Events, Studio Ooh La La and Christopher TODD Studios brought a touch of French glamour to Serra Plaza. 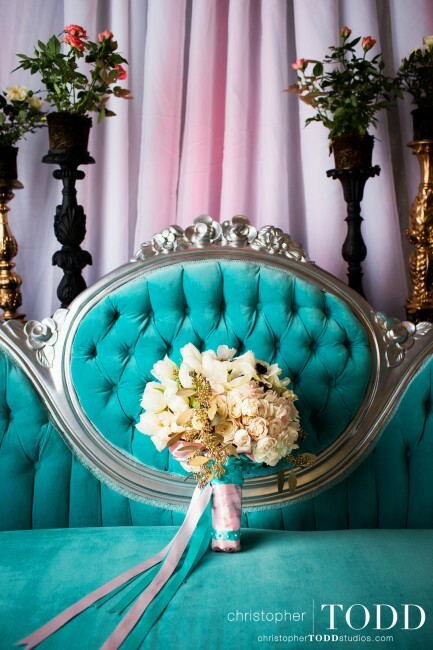 With the use of soft pastels, flowers, hints of gold and FormDecor furniture, these photos will leave you awestruck. 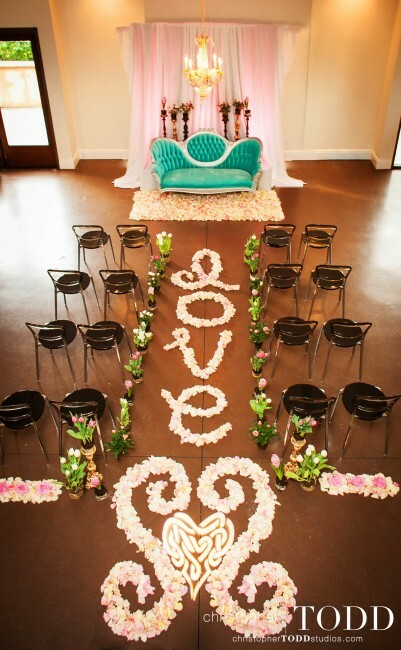 Read below and see for yourself what influential blogs like Trendy Bride and Project Wedding have been raving about! FormDecor’s Victoria Sofa and Tuxedo Chairs. 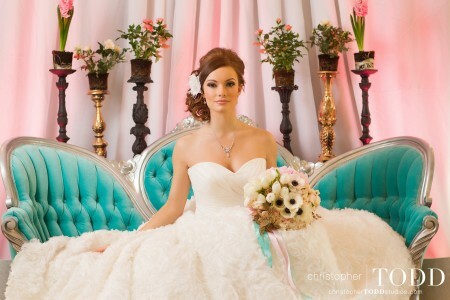 The bride sitting pretty on FormDecor’s Victoria Sofa. FormDecor’s Snap Bench, Haut Chair and Esther Side Chair in white are elegant without overpowering the other elements in this unique seating arrangement. The bride was actress and model Caitlin O’Connor. Here she is looking gorgeous into our Baroque Mirror! French Elegance from Perryfield Films on Vimeo. 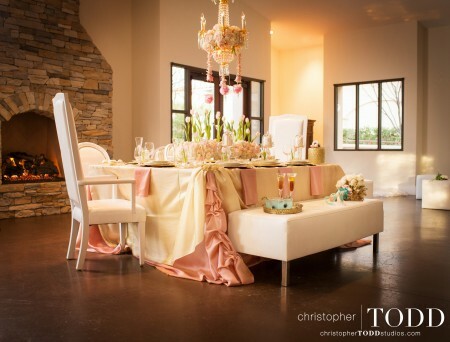 This entry was posted in FormDecor Weddings and tagged FormDecor, wedding furniture rental, wedding furniture, Christopher Todd Studios, Expressionary Events, French Elegance, Glamourous Wedding Decor, Parisian Inspired Wedding, Serra Plaza Weddings, Studio Ooh La La. Bookmark the permalink.